Facial redness affects millions of Americans. This undesirable condition leaves individuals looking persistently blushed, a symptom that may worsen with activity and spread overtime. 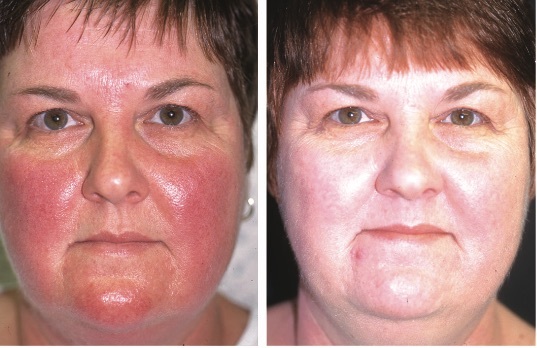 As a result, victims of Rosacea often seek cosmetic treatment to improve the appearance of their skin. At Premier Dermatology, board-certified physicians utilize the most advanced treatment options to permanently reduce this unwanted condition. Facial redness leaves individuals looking persistently ushed or sunburned and is linked to a variety of causes. Ethnic skin type, overexposure to the sun, acne, and skin damage are all contributing factors. Rosacea and facial spider veins are also leading causes. These symptoms can become more prominent with physical activity, embarrassment, and exposure to warm, sunny conditions. Smoking and drinking alcohol can also have a similar effect. Rosacea is a chronic skin condition that causes facial redness, spider veins, and an acne-like appearance. In more advanced cases, patients may develop rhinophyma, a condition in which the nose becomes enlarged, red, and has a bulbous quality. People at risk for developing rosacea are fair- skinned adults, especially those who have a history of blushing. But this condition can affect any adult, regardless of skin type or age. 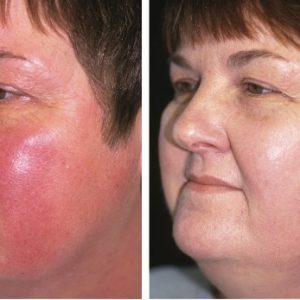 Yet, many individuals mistake rosacea for rosy cheeks and do not seek medical treatment. Consequently, they experience progressively more severe facial redness and spider veins. 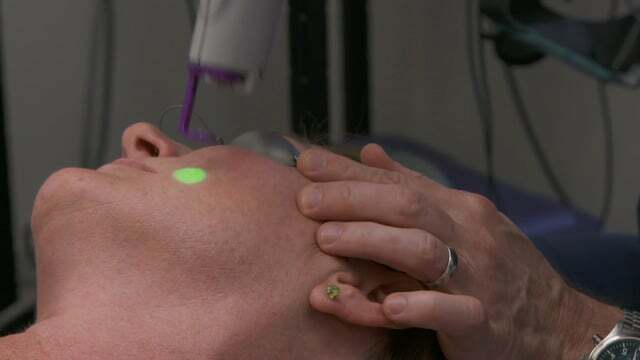 At Premier Dermatology, board-certified physicians treat rosacea, facial redness, and spider veins with the most cutting-edge technologies: the V-Beam and KTP lasers. These lasers specifically target the blood vessels that cause facial redness and spider veins, permanently eliminating them. 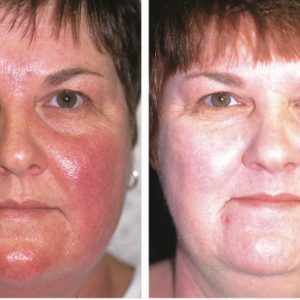 After this treatment, patients report significant reduction in overall facial redness and return to normal activity immediately. Facial redness af icts many individuals, leaving them looking permanently ushed, embarrassed, or over-heated. With Premier Dermatology’s advanced technology, these symptoms can now be permanently reduced. 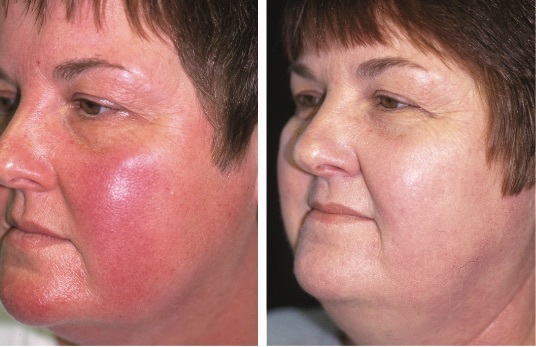 The V-Beam and KTP lasers offer the safest and most effective treatment option. To learn more about these procedures, contact your physician at Premier Dermatology.